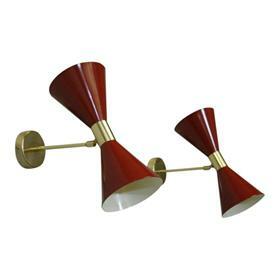 Pair Stilnovo Sconces. Double Cone with bulb on each side, cones moves in all directions. Wired for US use.